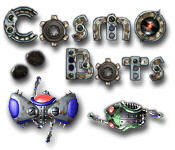 Cosmo Bots is one of those games that you just can't stop playing! It's fun, easy, yet takes skill to master. Another classic genre gets a total overhaul from Retro64 ! 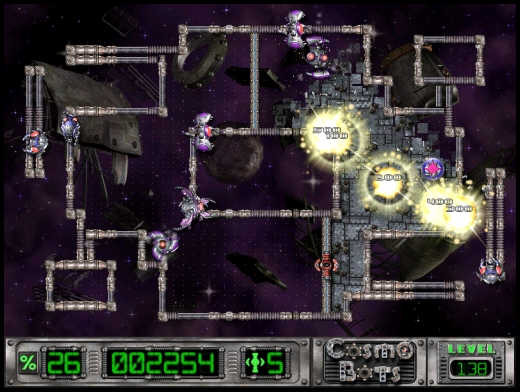 Cosmo Bots Game takes its cue from the addictive classics Jezzball and Qix. But that's where the similarity ends, because Cosmo Bots has different shapes for each level, 3D rendered graphics, digital sound, new enemies, and tons of power-ups. 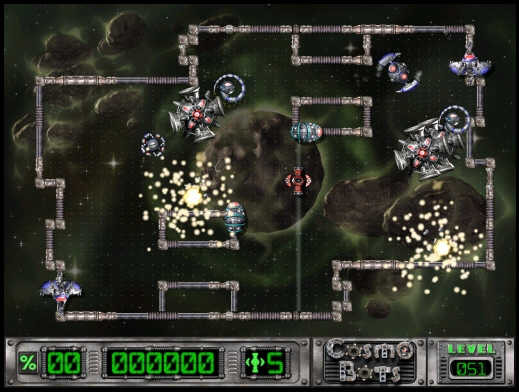 The free version features a full set of 50 levels to play, and does not require any special hardware. 3D Live Pool - This 3D Pool Game simulates 3D Pool game on your computer with full 3D environment and perfect 3D sound.